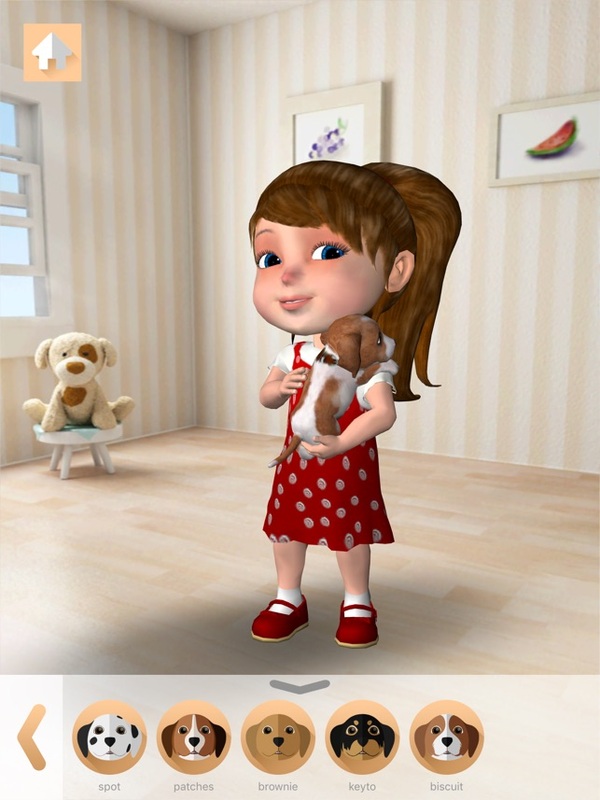 [prMac.com] Fremont, California - Sprite Labs today is pleased to announce that Anya Dress Up & Pet Puppies got its AR update today which allows kids to interact and play with Anya and puppies in their world (with AR), changing their clothes, playing games and dancing along. Anya is a unique app. She is a doll that a child can bring into their life and interact with, tickle and dress her and her puppies. She can pet the puppies and play games with them too. With Apple's ARKit, Anya and her puppies come to life in the real world. Anya and her puppies can be in a doll house, on a coffee table in the living room, on the kitchen table, or anywhere a child would like to play with them. Anya is a cute little girl who dances, sings and plays interactive games like twirling a hula hoop, pop the bubbles and maracas. She repeats what you say. You can even dress her up and tickle her, she makes funny faces too! The puppies do everything a cute puppy does, fetch, sit, roll and dance! This app uses the accelerometer creatively; a user can make Anya twirl the hoop if the he/she moves the phone in circles, stop and she drops the hoop. This app is loaded with interactive play, she blows the bubbles and the user can pop them with a tap or pop multiple bubble with simultaneous taps, tap her feet and she will dance, tap her nose and she makes a funny face and more. She is quite emotional too, just like all little girls! Making her definitely a fun-to-play-with app. 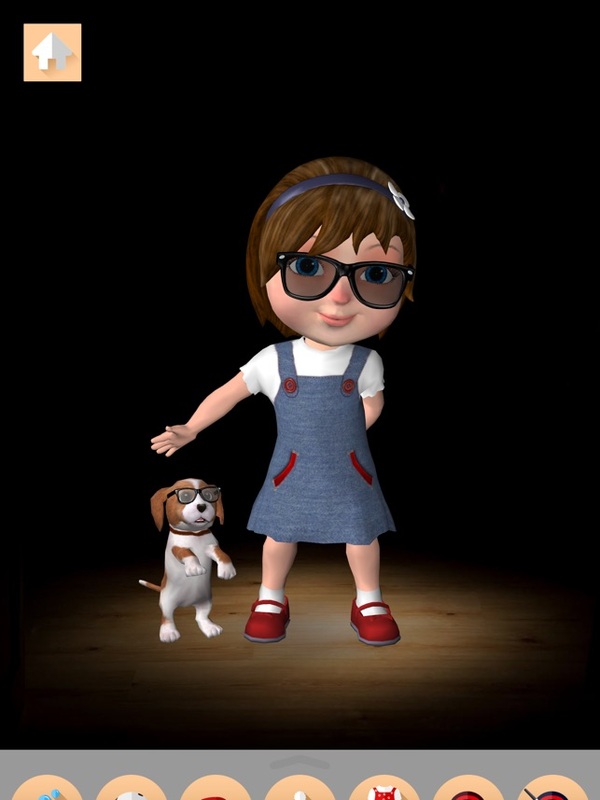 "Anya Dress Up & Pet Puppies AR is loved by millions of kids worldwide. And now with Augmented Reality, we bring them to life in the real world. This opens a new frontier for us to explore, and we are very excite for what the future holds," explained Nikita Kapoor, Founder at Sprite Labs. "This is a Universal app, so it will work great both on the iPhone and iPad." Anya Dress Up & Pet Puppies AR 4.4 is Free (With In-App Purchase) and available worldwide exclusively through the App Store in the Entertainment category. Located in Fremont, California, Sprite Labs was founded in 2009 with the vision of creating quality entertainment and educational applications for mobile devices. All Material and Software (C) 2009-2018 Sprite Labs, LLC / All Rights Reserved. Apple, the Apple logo, iPhone, iPod and iPad are registered trademarks of Apple Inc. in the U.S. and/or other countries. Other trademarks and registered trademarks may be the property of their respective owners. "I'm super happy that I was able to have a press release and had it distributed to over 500 sites. I searched my game on twitter, where I found a ton of tweets about my game! The writing service was very nice, Marc has responded quickly with revisions of what I wanted. Thanks!"